The latest Splatfest has come and gone in Splatoon 2, and it shows just how passionate people have become when it comes to orange juice. As always, whenever a Splatfest is launched, the ladies ask you a simple enough question to get your opinion on a matter. This time around they asked which version of Orange Juice do you like better: with pulp or no pulp. And while you would think you might know how this turnout may have come around, the reality is, the competition over all of this was a lot closer than anyone probably expected. At the end of the competition, we saw that No-Pulp ended up scoring a win in the popular vote at 76%. But then Pulp managed to score the Team Battle victory at 52%. 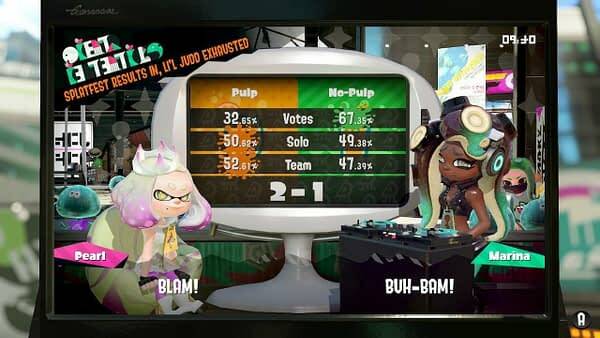 The final decision came down to the wire, but as you can see below, Pulp won the Solo rounds bu just 1%, taking the entire Splatfest. This was one of the closest competitions they’ve done so far, and we must say, one of the more deeply passionate ones we say people fight for with Nickelodeon colors. 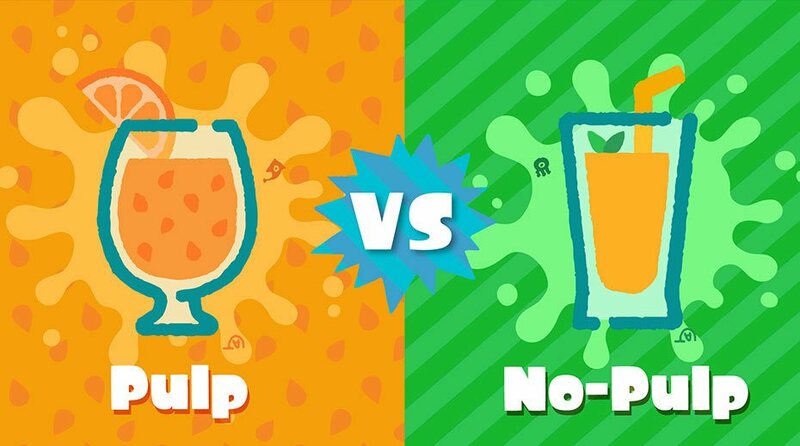 We personally prefer the no pulp choice, but clearly more Splatoon 2 people like bits of fruit in their juice.